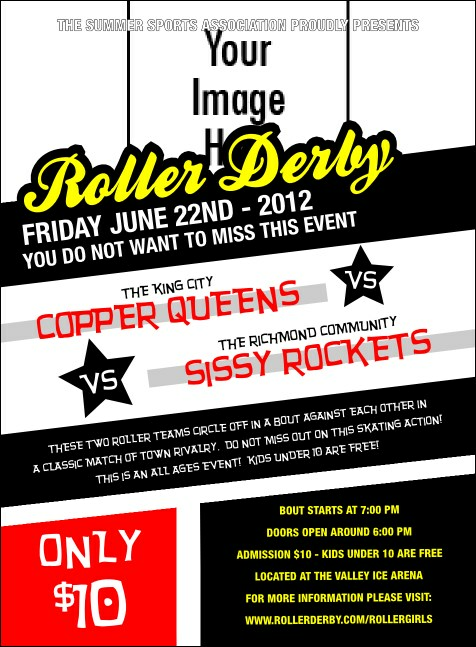 Get past the defense and advertise your event with promotional powerslides like Roller Derby Passing Star Invitations. Each personalized Invitation includes space to upload any image you want. Snap a shot of your derby dames hot on the track and get the fans ready to roll. TicketPrinting.com helps you keep your event-planning bearings.